Nier Automata is in need of patching on PC, but at least one of its biggest issues is due to be resolved. Nier Automata isn’t as good as it could be on PC, which is a real shame, because Nier Automata is great and deserves much better. 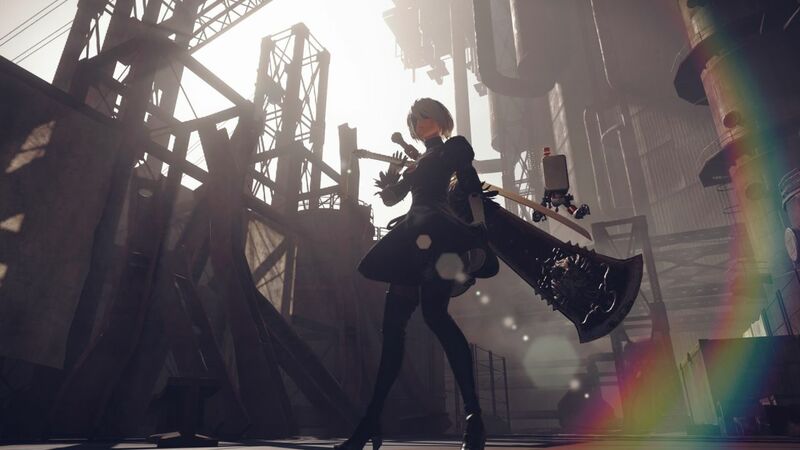 With low frame rate and resolution among its many issues, the PC port of Nier Automata is so half-hearted that most PC users won’t play it without a helpful mod (which incidentally blocked pirates and caused a huge kerfuffle). But it’s much worse for a subset of PC players with AMD cards, because they haven’t been able to play at all thanks to a white screen issue. The good news is that a fix for this particular problem is on the way. Posting in AMD Reddit, a representative said a driver update is coming “very soon” to address Nier Automata’s white screen bug, along with a few other “notable items”. “I know I will be asked ‘why did it take so long’ and the short answer is sometimes when an issue seems like it’s so simple can turn out to be incredibly complicated to resolve, taking longer than expected time to discover, resolve, and verify the root cause,” AMD representative AMD-DOWNL1NK wrote. The post went on to ask Nier Automata players to let the company know if the update does not resolve their problem.